You guys, I accidentally stumbled on the best ever beauty hack for travel when I flew to Washington D.C. a couple of weeks ago. I needed 5 days worth of my everyday facial moisturizer, but I was out of room in my T.S.A. approved travel toiletry case, (I have very strong, very adverse feelings about the T.S.A.) so I had to improvise. I couldn’t get rid of any of the toiletries I had already packed, but I require daily moisturizer (that makes me sound like an old lady, but I guess I am) so I looked around my bathroom for a solution. Nothing was small enough to tuck into the tiny spot above my plastic toiletry case, right below the zipper, except my contact case, and necessity is the mother of invention, right? I had a total ‘aha!’ moment as I panicked about finishing my packing before midnight. 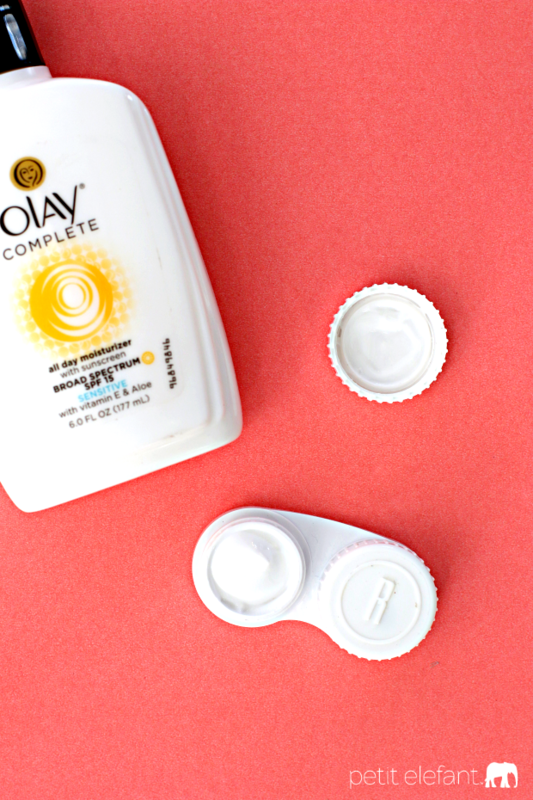 I squeezed a small amount of moisturizer into each side of my contact case, and hoped for the best. I knew the worst case scenario would be the T.S.A. deciding I’d somehow broken an imaginary rule (See? FEEEEELINGS) and would make me throw out my cheapo contact case and a few squirts of moisturizer. And if that happened, I was headed to a major metropolitan city. I’dbe able to find a drugstore on any corner to buy some new moisturizer in no time. So I winged it, and hoped for the best. 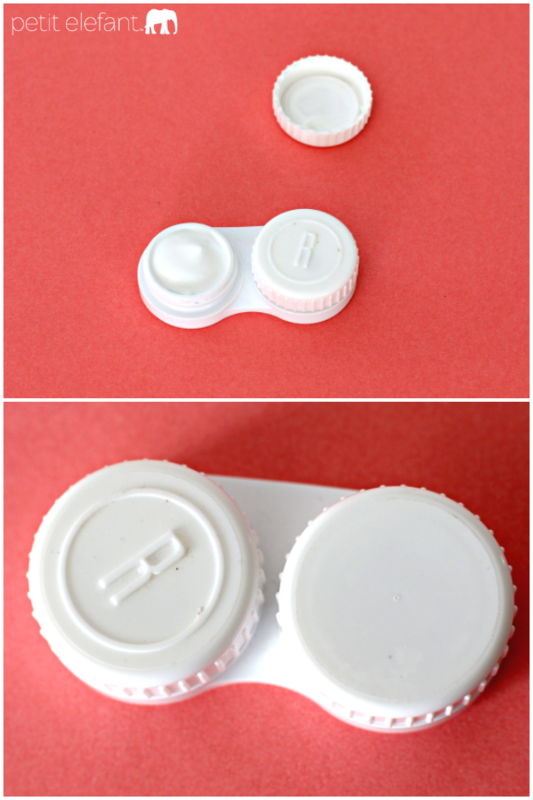 As it turns out, each side of a contact lens case holds a decent amount of liquid. I traveled for 5 days, used a normal amount of moisturizer every single day, and only used up one side of moisturizer in the contact case. I didn’t even touch the other side. GUYS. I’m so excited about this. It opens up a whole world of possibilities for T.S.A.-friendly travel toiletries. Instead of daily moisturizer in my contact case, in the future I plan to substitute: facial cleanser, night cream, shampoo + conditioner, acne cream, hair paste, hair gel, and any number of other liquid toiletries I can think of. The future of travel is here, friends, and it’s all about this beauty hack. I did this with my foundation and it lasted more than three weeks! Awesome hack. Isn’t this great? I’m so glad you wrote about this. 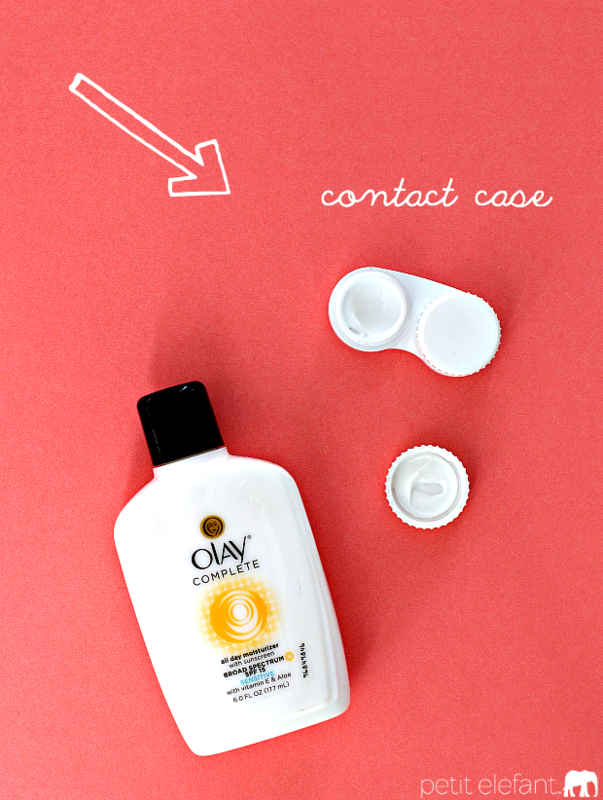 I began using my contact cases this way a couple trips ago – just stumbled on it accidentally. It’s so very handy! I also use pretty (jewel toned) little round plastic pots (they sound cuter than I described) at walmart in the travel section – and between those, my contact cases, and some squishy squeeze bottles to hold my shampoo and conditioner, I had extra room in my TSA bag this past trip. (I KNOW? when does that happen?) 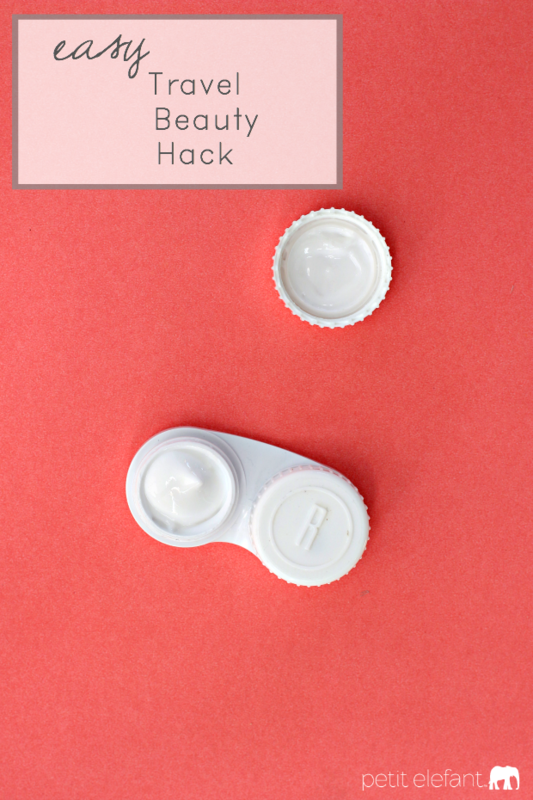 GREAT hack.